Part of our role as sport coaches is to look beyond just the technical proficiency of young athletes and look at ways that they develop leadership and other life skills through the medium of sport. In the sport of tennis. the odds of making a good living as a professional tennis player are very slim. Recent research found only the top 160 men, out of 8,874 total players, and the top 150 women out of 4,862 on the pro circuit turned a profit in 2013. However before even reaching the stage of attempting to play pro tennis, there are the years of junior training and tournaments where young athletes have the opportunity to improve both their games but also themselves. If done right, this can lay the foundation for a successful life outside of the tennis court. If done wrong, this can cause strained parent/child relationships along with self esteem issues. Junior Tennis can cause kids to lose their head and self judge to the point that the whole purpose of playing sport is lost. However sport can also serve as hugely beneficial platform to be focused, positive and drive in other areas of life. 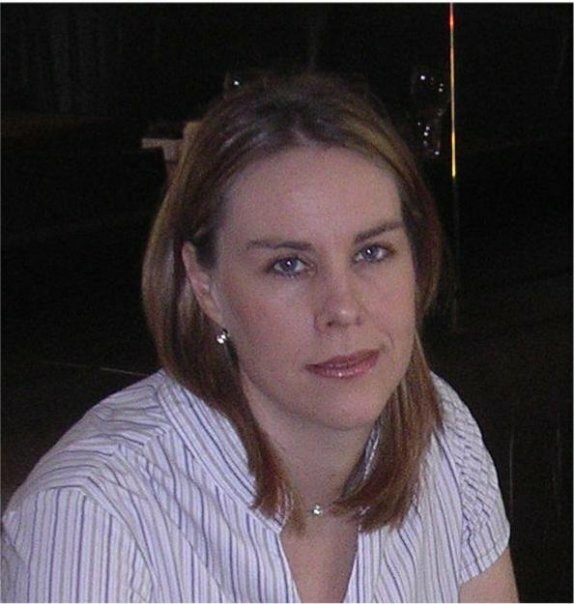 A woman who has had alot of experience with young athletes is Sports Psychologist, Heather McGregor-Bayne. Heather is an experienced Sport Psychologist, having worked at the West Australian Institute of sport for a number of years working through two Olympic cycles. She has worked with a number of high performing sports such as Hockey (Men’s and Women’s National Teams), Track & Field, Sailing, Water Polo and Canoeing, providing Sport Psychological services to numerous individual and team Olympic medalists. Heather was instrumental in setting up the current framework for psychological support services for Tennis Australia. Heather is passionate about helping individuals and a team reach high performance and has significant experience working with and assisting individuals and teams to reach the pinnacle of high performance. Rick – Hi Heather, thanks for contributing to the Art of Tennis blog. Can you tell me specifically about your work with Tennis Australia and Tennis West athletes? Heather – I previously consulted to Tennis Australia for a few years as the Psychology Services Coordinator where I was responsible for establishing the national direction of psychology. This involved initiating profiling of the coaching staff and athletes, writing the content for a parent program which is currently delivered nationally, and providing advisory and training services with respect to the management of athletes and incidents. 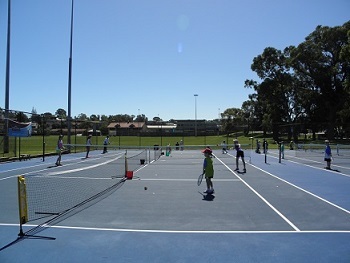 For Tennis West I provide counselling, coaching, training and consultation to the athletes, parents and staff at the National Academy, and support state and talent development initiatives with respect to sport psychology where appropriate. 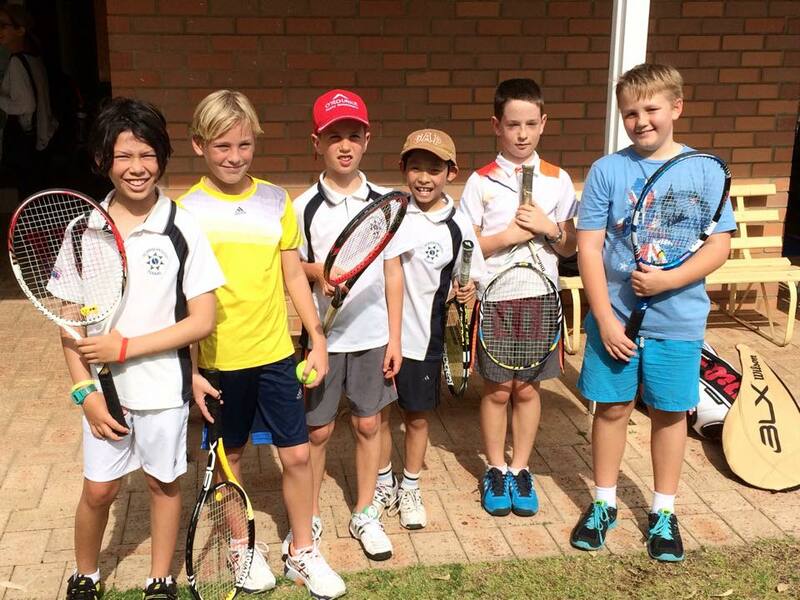 Rick – What do you think makes the journey of a junior tennis player unique to other sport? Heather – I think one of the unique challenges junior tennis players face is not having an umpire as standard at every match / competition. We know that the part of the brain that manages order, logic, rationality etc doesn’t fully develop until about 25 leaving adolescent brains being very dominated by the emotional system. This means ‘enforcing’ the rules of the game are handed over to athletes that perhaps don’t have the psychological and emotional maturity to handle this. This is why it’s important for coaches and athletes to talk about ‘what if’ scenarios and devise management plans before they play rather than hope they will be able to problem solve solutions once they are in challenging situations. Rick – What is the best thing that tennis parents can do to help their kids? – Encourage your athlete to be / take responsibility. The language used as parents is therefore critical. Consider whether you model accepting taking responsibility or whether you make excuses for yourself / your child? Rick – What is the worst thing that tennis parents do that impacts their kids? Heather – To buy into the results focus that is strong in the tennis culture like fortune telling match outcomes and chasing ranking points. Research tells us that parents rewarding effort (e.g. praising) increases a child’s self-esteem, motivation and ultimately how much they will challenge themselves. By contrast rewarding ability and results makes them back away (for fear of failing and not being rewarded) and decreases motivation. It’s important to help kids set goals that are process oriented e.g. improving first serve percentage, and within their control. Rick – Although I am not qualified, I am very passionate about using the Myers Briggs personality type and you are qualified as a MBTI consultant. How do you think coaches need to adapt to certain personality types? Heather – I think the key message here is not to try fit a ‘square peg into a round hole’. You need to work with the individual you have in front of you; not the individual you want them to be. If you truly want to get the most out of an individual it is critical as a coach to be adaptable in how you communicate, how you teach, how you build a relationship. To me this principle applies as much to understanding values and what motivates us as it does to personality. Rick – Can you give an example of a personality type that may struggle in a structured regimented environment? Heather – The MBTI divides people into those that have a preference for organization and planning or those that prefer flexibility and spontaneity. The latter are perhaps more susceptible to finding structured environments (of which school and training can both be) more challenging and less enjoyable. It’s important to note though that the MBTI is clear about the difference between a preference (i.e. where we are more comfortable) and skill (what we have the ability for). This means a spontaneous person could still succeed and in fact thrive in a highly structure environment, it would just be important that there need for flexibility was catered for elsewhere. Rick – What do you think are the keys that make a mentally strong tennis player? Heather – Resilience, namely the ability to bounce back from adversity and remain optimistic – so being able to take the knocks and learn from them versus letting them get you down or change the way you see / feel about yourself. Mindfulness which is the ability to be present and focused in the moment – so being able to play the current point versus not letting go of past mistakes or predicting future score lines. Persistence and a strong work ethic – top 100 players are all talented; they are also not afraid of hard work and pushing themselves to be physically and mentally better and better. Rick – If you had the opportunity to consult to Nick Kyrgios what would one thing that you would suggest he improve on? Heather – I don’t know Nick at all and I think it’s easy to fall into the trap of being an armchair critic and offer advice but it’s based on opinion and shaped by a perception created by the media, which may or may not be accurate! Hero’s and villain’s have been the makings of masterful stories for centuries, and you need both to create magic. Rick – You do consulting to kids and parents in sport. What are some ways that parents and kids can access your services? Thanks Heather and look forward to talking again soon. What I learnt as my Dad’s assistant football coach.